Brian Wilson “Songwriter 1962 – 1969” is a documentary film investigating the rich tapestry of music written and produced by this brilliant 20th century composer. 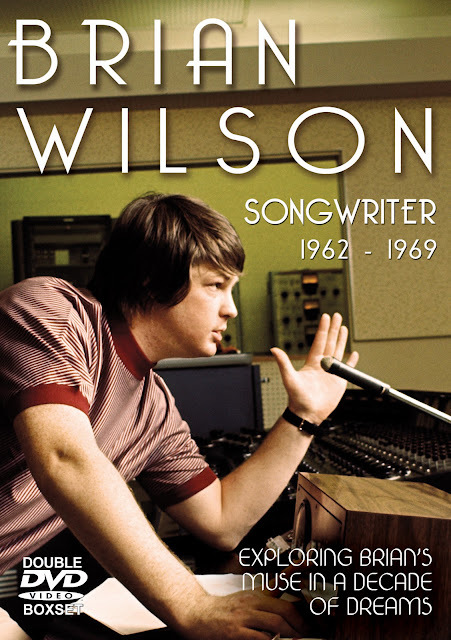 The songs Wilson wrote for and recorded with The Beach Boys during the 1960s are brilliantly re-assessed throughout the main DVD feature which runs over three hours in length across two discs. There are exclusive contributions from fellow Beach Boys, Bruce Johnston and David Marks; Wrecking Crew musicians Carol Kaye and Hal Blaine; friend and Beach Boys manager Fred Vail; producers Russ Titelman and Bill Halverson; Wilson family friends Billy Hinsche and Danny Hutton, biographers Peter Ames Carlin and Domenic Priore and many others. Also featured are historical musical performances and rare and classic recordings re-assessed by a panel of esteemed experts, and obscure footage, rare archive interviews and seldom seen photographs. Live and studio recordings of many Brian Wilson classics are also peppered in throughout the film. Recently rumors of a possible Beach Boys 50th anniversary tour featuring all of the surviving members have been circulating. In other news, a new album entitled “Brian Wilson Reimagines Gershwin” was released on August 17th.